The Council objects on the basis that the development for 46 No sheltered apartments as it is contrary to the provisions of the Development Plan, namely, Policy 5 of the Arundel Town Council’s adopted Neighbourhood Plan which has identified the site for a development of approximately 24 dwellings comprising a mix of dwellings including affordable housing. Given that the Arun Local Plan 2011-2031 will have been adopted at the time the application is determined, the Council’s adopted Neighbourhood Plan must be given full weight and the development should be determined in accordance with its provisions. 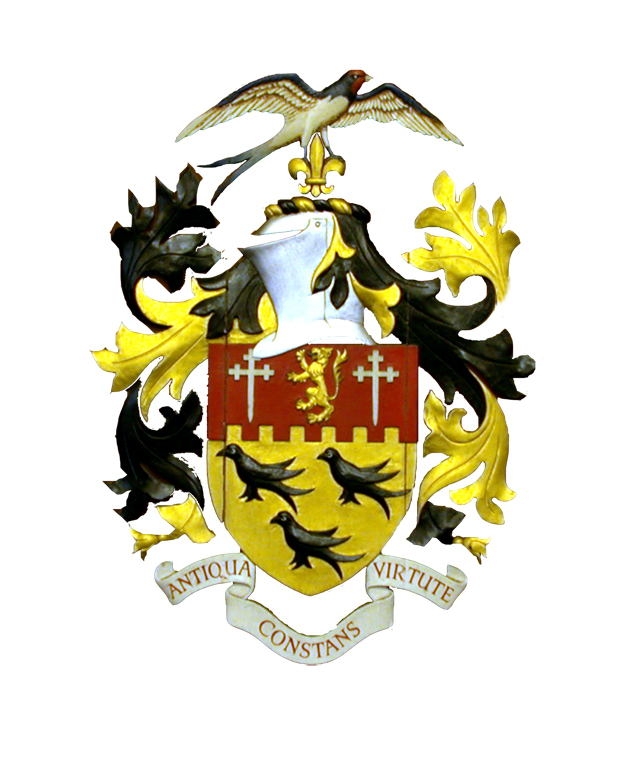 The Council strongly endorses the professional views of the Conservation Area Advisory Committee (the comments of the Council’s current Conservation Officer not being available to view on line) that the building lacks adequate design quality and that the existing brewery buildings should be retained as a heritage asset (a request that the Town Council has repeatedly made but which has been ignored by the District Council); As such the Council objects to a proposed building that falls well below the quality and design that is required to ensure that it respects the exceptional architecture of Arundel’s Conservation Area and its setting and, so, achieve the provisions of Policy HER SP 1 of the Arun Local Plan 2011-2031. The site adjoins a nationally important conservation area and, by reason of its unsympathetic design, scale, massing and height it would harmfully detract from the exceptional architecture of the historic core of Arundel and it setting Thus, it would conflict with the guidance in the National Planning Policy Framework in that it fails to make a positive contribution to, but significantly harms, both the Conservation Area and its setting – thus also conflicting and being contrary to Policy HER SP 1 of the Arun Local Plan 2011-2031. On the other hand, the existing building on the site contributes significantly to the setting of the Conservation Area as borne out by the former District Council’s Conservation Officer; the Conservation Area Advisory Committee and English Heritage, all of whom, consider it to be a building of local interest and worthy of local listing. It is capable of reuse as demonstrated by a similar scheme in Little London, Chichester. As such the Council objects on the grounds that the scheme would result in the unacceptable loss of non-designated heritage asset contrary to Policy HER SP1 of the Arun Local Plan 2011-2031 and the advice in the National Planning Policy Guidance. The poorly designed development would be prominently located in the forefront and against the backcloth of, the ancient, historic town of Arundel where it would dominate and appear incongruous in views from the bypass and footpaths and detract from the views of the townscape of Arundel, its castle, cathedral and its special setting contrary to Policy LAN DM2 of the Arun Local Plan 2011-2031. Due to its overwhelming size, height and bulk it would result in a loss of sunlight; daylight and appear visually oppressive in neighbouring views from immediate properties adjoining and near to the site. Thus, the Council objects on the grounds that it would unacceptably harm the living conditions of neighbouring occupiers that they can expect to enjoy in this residential area. Due to the number of units proposed and the poor internal layout of the development, it fails to provide for a level of accommodation that can provide natural light to all useable rooms and, so the Council objects on the grounds that it would secure an inadequate and substandard level of residential amenity for proposed occupiers that would be inconsistent with that prevailing in the area. As the development continues to propose charging residents for on-site car parking facilities, the Council objects on the grounds that it would indirectly result in a demand for on street parking in an area where such facilities are already in great demand, thereby leading to car parking congestion and implications for highway safety. The lack of an adequate bellmouth radii for turning vehicles to clear the footpath at the access point; the failure to provide an immediate road network that is safe for use by mobility scooters and wheelchair users and the absence of adequate turning facilities that would enable large vehicles to exit in forward gear all give rise to conditions that are likely be prejudicial to pedestrian safety, particularly in this instance, where the accommodation caters for elderly occupiers. There are serious surface water and foul drainage problems in the vicinity of the site. The Council is not satisfied from the evidence produced by the applicant that the proposed solutions to these dire problems are capable of being implemented and maintained for the lifetime of the development. Thus, the Council objects on these grounds as it considers that the development would unacceptably exacerbate the severe surface water and foul drainage problems and, thus, add to the problems currently experienced by local residents and unacceptably detract from the standard of living conditions that presently prevail in the area. The development fails to provide any form of affordable housing for Arundel (to comply with the provisions of the adopted Arundel Neighbourhood Plan) or, alternatively, to accord with the District Council’s Housing Strategy, which in terms of off-site provision elsewhere in the District or by way of a section 106 agreement would not be acceptable in any event to the Council given the full weight that should be applied to Policy 5 of the Arundel Neighbourhood Plan to provide such affordable housing in Arundel. The Council objects on the grounds that there is no need for any further accommodation for the elderly in Arundel. The application has been advanced on the grounds that there is such a need in the District but there is no evidence to substantiate a need in Arundel where an adopted Neighbourhood Plan has allocated the site for another form of housing and the emerging revision of the Neighbourhood Plan continues to allocate the site for a mix of dwellings including affordable housing. Thus, the proposal is contrary to the adopted and emerging revision of the Arundel Neighbourhood Plan.